Brandi + Jesse were married in Cuyahoga Valley National Park and let me just say, their day was one for the books! We started the day at Gavin Scott in Stow as all the girls got dolled up in their matching robes. After the salon we headed to Peninsula and JUST WAIT until you see the Air BnB they found. My jaw literally dropped to the floor as soon as we walked in! The girls got Brandi into her dress just in time for her to do a first look with her dad. The guys got ready at the Staybridge Suites in Stow and after everyone was ready to go, we headed to CVNP. They were married in the screened-in-porch at Happy Days Lodge and celebrated with family and friends in the Great Hall. Oh, and we snuck them out for some sunset photos that were seriously unreal. 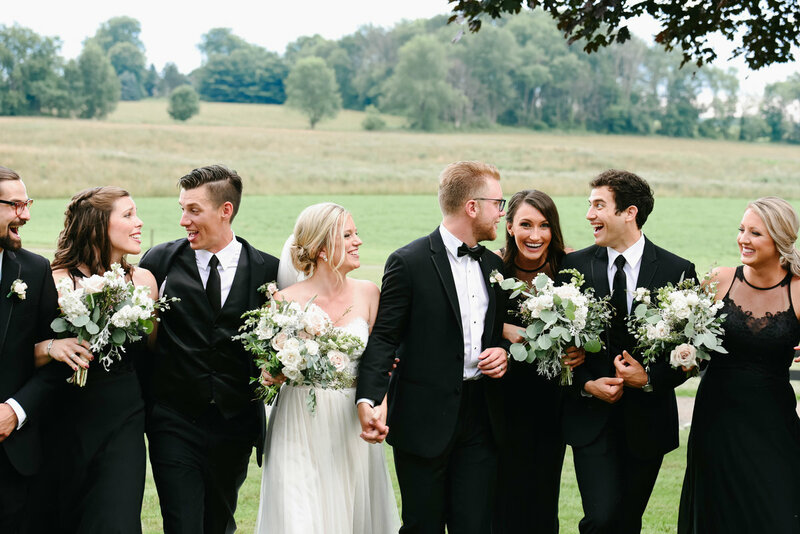 Check out some of our favorite moments from their day! Congratulations Brandi + Jesse! We can’t thank you enough for letting us capture your day. You two are the cutest. XO! Hey you! Thanks for stopping in. Whether your friends or family or are just here browsing, leave the bride + groom a little love. If they get 20 comments on their post, they’ll receive an enlargement of their favorite photo, on us! Gorgeous couple and beautiful wedding! Wishing them a lifetime of love, joy and happiness! What a truly magical day! Thank you for capturing the love and beauty so well!